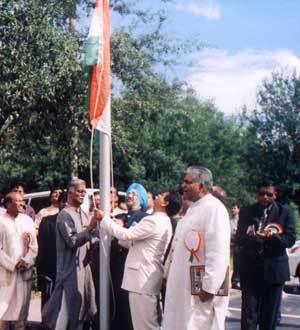 Flag hoisting last year at Republic Day celebrations in Tampa. 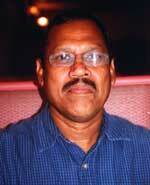 West Central Florida Indians will celebrate India’s 57th Republic Day in late January. Kicking off the event first will be the newly revamped Indian American Chamber of Commerce of Central Florida on Jan. 26 at City Arts Factory, 29 S. Orange Ave., Orlando. This is the chamber’s first formal event and will be an evening filled with dinner, entertainment and a welcome address by local dignitaries. A traditional flag-hoisting ceremony will start off the event at 6:30 p.m., followed by national anthems and live music and dance. In Tampa, the Federation of Indian Associations of Tampa Bay (FIA) is celebrating the transition of India from a British Dominion to a republic on Jan. 27 at India Cultural Center, 5511 Lynn Road. FIA President Dr. Rao Emandi said that the event will begin with a cultural program from 1 to 4 p.m., with flag-hoisting at 4:30, followed by speeches and an entertainment program. For information, call Dr. Rao Emandi at (727) 534-4590, Ram Jakhotia at (813) 892-3299, Dr. Krishan K. Batra at (813) 963-9857 or Dr. Nandkishor Shah at (727) 347-2780. Information for this report was provided by Shobana Daniell. Jazz Yatra, a fusion of Jazz and Indian music and dance, will be presented Jan. 27 at Amaturo Theater, Broward Center for the Performing Arts, 201 S.W. Fifth Ave. in Fort Lauderdale. The 7 p.m. recital will feature Sanjay Chandran on the violin, Dr. Ramakrishnan on the mridangam, jazz pianist Perry Joslin and his band members, as well as a fusion dance troupe with Madhavi and Meenakshi Menon, Shilpa Krishnan and Rashmi Sridhar. Chandran will present a scintillating presentation of Jazz and Indian styles of music, blending together seamlessly. Joslin and his band will orchestrate a fusion of the East meeting the West. 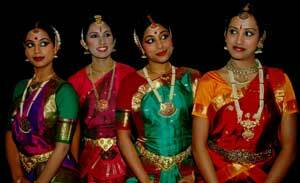 And the Bharat Natyam dancers will focus on the theme of "Empowerment of Women." The 2 ½-hourlong program is open to children of all ages. Jazz Yatra is a fundraiser for Sahara (www.saharafl.org), a grassroots, Miami-based organization, reaching out to Asian women in distress in the South Florida area. It will be presented with support from the Broward Arts Center's Arts Access Program, which was designed to assist smaller organizations present performances for and about their communities. 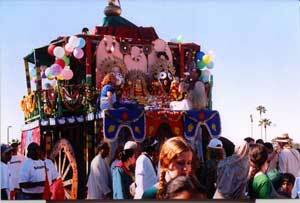 The Rath Yatra (Festival of Chariots) of Tampa Bay is coming to town. Again! The second annual Rath Yatra will be held Feb. 3 at Curtis Hixon Park in downtown Tampa. The daylong festivities will begin with a 2-mile procession of the chariot, which will be preceded by several floats. In India, the holy town of Puri, Orissa, home of the Lord of the Universe, Jagannath, celebrates this festival. The temple of Jagannath, also known as Krishna, in Puri is one of India’s major pilgrimage sites. The Festival of Chariots signifies Lord Jagannath’s journey from the forest into the hearts of people. “We are expecting about 4,000 to 5,000 people this year,” says Rath Yatra organizer Sanjiv Astavans. “New for 2007 will be a free health clinic, more children’s activities and at least 30 vendors.” There also will be informative exhibits on Bhagavad-Gita, vegetarianism, reincarnation and origins of the universe. What’s the purpose of holding the event? “We are trying to bring people of the Indian community and other communities together to show the richness of our culture and heritage, which is all inclusive,” says Astavans. The first Hindu festival of the solar calendar year is just around the corner. And folks in West Central Florida, including Tampa and Orlando, are gearing up to celebrate Makarsankrant (kite flying festival). Also holding Makarsankrant, on Jan. 20, will be the Telugu Association of Florida (TAF) at the Hindu Temple of Florida Community Hall (5509 Lynn Road, Tampa). TAF will present a cultural program (vocal, dance, drama or any other program). Those who would like to participate can call Rao Gudapati at (813) 345-4543. The long-awaited new temple building in Jacksonville is nearing completion. Phase I of the Hindu Society of North East Florida (HSNEF) temple building should be ready for occupancy by the end of March 2007. The temple site in Greenland Road was acquired in 2002 and plans were drawn for a structure consisting of temple complex and a separate building called the fellowship hall. In Phase I, only the temple complex is being constructed, which includes the completed worship hall –- all deities with their mandaps, office room, library, conference room, restrooms and a multipurpose room. The complex will have more than 75 parking spaces. The presiding deity for the temple is Lord Ganesha, who will be moved along with existing Utsav Murthis from the current location in Orange Park. The additional deities being shipped from India are Balaji, Shiv Linga, Laxmi Narayan, Sri Ram Parivar, Radha Krishna, Durga and Mahavir Swami. The installation Mahotsav for the new temple is being planned as a grand five-day ceremony starting Wednesday, March 21, through the grand finale Samprokshana Pranaprathishta on Sunday, March 25.
http://www.jaxhindutemple.org or call HSNEF at (904) 269-1155. Red Crescent Clinic in Tampa. Who says that there isn’t free medical care available in the United States or Florida for that matter? Take the case of the Red Crescent Clinic in Tampa, which was envisioned a long time ago by its co-founders before opening doors about six years ago in a portable unit next to the Islamic Society of Tampa Bay. And the doctor says the facility could always use more physicians. 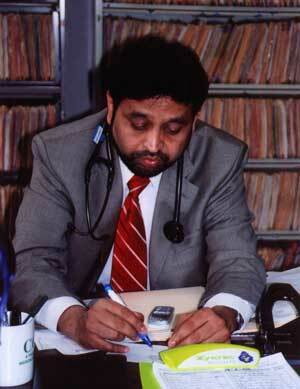 A cardiologist at the Tampa VA Medical Center, as well as assistant professor at University of South Florida, Siddique himself visits the Red Crescent Clinic every Saturday and is on call every day. His greater plan is to bring the Judeo Christian Clinic, Hispanic Clinic, Red Crescent Clinic and a proposed clinic at or near the Hindu Temple of Florida together and open a hospital. 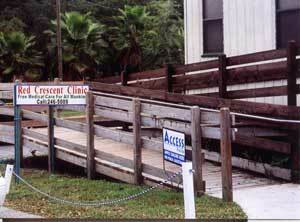 For more information, call the clinic (7326 E. Sligh Ave., Tampa) at (813) 246-5009. 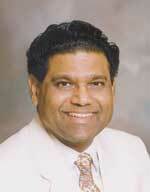 Dinesh Gandhi of New Port Richey took over as the 2007 president of the 700-member strong Gujarati Samaj of Tampa Bay. The 42-year-old, who has been in the U.S. since 1990, owns a gas station and a convenience store, and also has a partnership in two area hotels. The vice president will be Dr. Harish Patel. Secretaries are Pankaj Patel and Anil Amlani. The treasurer will be Kamlesh Patel, CPA. The following are committee officers for 2007: membership growth: Kanti Bakarania; women’s forum: Jyotsna Patel and Bhavi Patel; youth coordinator: Aditi Joshi; and senior citizenship: Himmatbhai Parikh. The tentative schedule for the Samaj’s 2007 activities is as follows: Holi on March 3; Mother’s Day Picnic on May 13; Navratri on Oct. 12-13 and Oct. 19-20; India Festival on Oct. 27; and Diwali Dinner on Nov. 10. PEHCHAAN SURVEY RESULTS ARE IN! Last July, you read about a volunteer organization that was introduced to the Tampa Bay area. PEHCHAAN (Providing Educational, Humanistic and Cultural Hope for the south Asian American Network) has since been actively surveying the needs of the community. We put out a survey for people to fill out. A random population was targeted and polled. We asked them to rank ‘services,’ ‘age groups’ and ‘issues’ in order of most needed to least needed. Of the services offered, the most popular was ‘discussion/support groups,’ followed by a tie between ‘workshops/seminars’ and ‘counseling services,’ trailed by ‘film/book discussions’ at the end. Of the needs of age groups, the highest priority was given to both ‘adolescents’ and ‘young adults,’ followed closely by ‘adults.’ Both ‘older adults’ and ‘children’ were given the last priority. Of the issues that were listed (12 in all), the top three were ‘stress management,’ ‘teenage issues’ and ‘anger management.’ These were followed by ‘couples/families,’ ‘conflict resolution’ and ‘relationship skills.’ At the bottom of the list were ‘adjustment to the U.S.’ and ‘domestic violence,’ with ‘women’s issues,’ ‘child/elder abuse’ and ‘men’s issues’ bringing the rear. There was a noticeable schism between the way senior adults ranked their preferences and the way average adults did. Our sample (60 surveys) was relatively small and we continue to work on gathering more substantial data from diverse age groups as we enlarge the sample methodically. In the meantime, we are poised to offer workshops and seminars to the community, in 2007. Discussion/support groups will be introduced once we receive a solid response from participants. We welcome anyone who wishes to join this growing body of volunteers and offer your time, support, ideas and resources. Contact: email pehchaantampabay@yahoo.com or call Sushama Kirtikar at (813) 810-2470. Gujarati film actress Raj Laxmi gets a helping hand from AACSA President Satya Shaw, middle, and AACSA Chairman Chandrakant Patel. Hundreds of convenience store owners from the U.S. attended the second annual convention of the Asian American Convenience Store Association (AACSA) Dec. 2-3 in Tampa. "The convention attracted more store owners then we would have expected,” says Satya Shaw, president and event chair of AACSA. “A large number of people were registering even till the last moment. All booths were sold out." Inaugurated by the popular Gujarati film actress Raj Laxmi, the two-day event was attended by several eminent Indian Americans, including Dr. Kiran Patel and Dr. Akshay Desai. 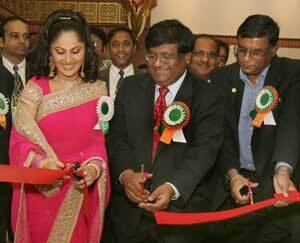 Raj Laxmi also released the informative AACSA Focus Magazine. In tune with the theme -- "Taking Convenience Store Retailing to the Next Level" – one of the main highlight of the event were the educational and awareness seminars by well-known experts from different fields, attorneys and senior government officials. "These people addressed the concerns and questions of convenience store owners," says Shaw. 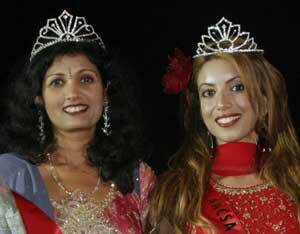 AACSA Mrs. India Rajshree Shaw, left, and AACSA Miss India Farah Majid of Michigan are all smiles. Among vital seminars at the convention were "How to Prevent Robbery and Protect Customers" by Michael Davis, vice president of the prestigious National Association of Convenience Stores; "How to Save on Environmental Compliance" by S. Kastury; and "How to motivate employee for Honesty and Loyalty" by M. Clark. Officials from Hillsborough County police department addressed the seminar on "How to increase Safety and Security." Other useful seminars for the store owners were "How to save on Marketing, Legal, Insurance and Financing" and "How to get More Rebate every Quarter by RBG." Every member of AACSA saves a lot of money as the association has a tie-up with RBG or Royal Buying Group, says Shaw. Cultural events included a performance b y Raj Laxmi, as well as a Bollywood-style entertainment program by Canadian artists Divya Kumar and Trisha. After a colorful and competitive beauty pageant, Farah Majid of Michigan picked the AACSA Miss India title and Rajshree Shaw was declared AACSA Mrs. India. Vijay Keni of Bombay Masala in Tampa. If you have been in the Tampa Bay area for 14 years, like we have, you should know Vijay Keni, owner-chef of Bombay Masala. And if you haven’t met the humble and talented professional chef, here’s your chance. Keni opened the 2,500-square-foot and 80-seater restaurant and since then there’s been no looking back for this Bombay native. “We offer mouth-watering, delicious and authentic Indian food,” he says with pride. And he has done catering for a minimum of 25 to more than 800 people. “We do lots of office catering, takeout lunches and have several repeat customers,” he says. “I must say I’ve more American clientele than Indians.” Bombay Masala has a lunch buffet every day except Saturdays. On Tuesday nights, the eatery offers a vegetarian buffet. And if you drop in for a bite at Bombay Masala, don’t forget to walk a few footsteps down for your grocery shopping in the same plaza. 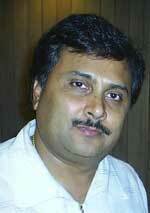 Kirit and Preeti Patel, owners of India Bazaar, will be glad to assist you with your needs. Bombay Masala is at 4023 W. Waters Ave. For information, call (813) 880-7511. And if you see Keni at the eatery the next time you visit, do tell him that Khaas Baat recommended his restaurant to you. The Sun-Sentinel in South Florida recently reviewed the newly named Jewel of India, formerly Taste of Bombay, in Fort Lauderdale. “Meats are halal, sauces are distinct, there are enough specialties to keep your favorite vegetarian happy, and naan arrives with crackly charred surfaces and blisters in all the right places,” notes Judith Stocks, dining correspondent for the daily newspaper. Jewel of India is at 3060 N. Andrews Ave. in Fort Lauderdale or call (954) 568-0600. GAINESVILLE NOW ON THE INDIA MAP! Don’t for a minute think that Gainesville is some small college town without any international zest to it. In fact, there is quite a bit of Indian flavor to this city, which apart from hosting the famous and reputable University of Florida, boasts of having at least three Indian restaurants and an equal number of grocery stores. It didn’t surprise us then that the October-November Gainesville Magazine (also available at www.gainesvillemagazine.com) published a full-fledged article on Indian restaurants in the North Florida town, as well as did a story each on Indian spices and beverages. Diana Tonnessen mentions two Indian-owned restaurants, in particular, Indian Cuisine, 3314 S.W. 35th Blvd. (352) 271-1190, owned by Prashant Patel; and Chutnees: Fusion of flavors from India, 3833 N.W. 97th Blvd. (352) 333-1133, owned by Aqueela Khuddus. Indian Cuisine offers a lunch buffet daily from 11:30 a.m. to 3 p.m. and dinner is 5 to 9:00 p.m. Sunday through Thursday and 5 to 9:30 p.m. Friday and Saturday. Chutnees is open for lunch buffet Friday and Saturday from 11:30 to 3 p.m. and dinner from 4 to 10 p.m. On Sundays, the restaurant features a lunch buffet from 11:30 a.m. to 3 p.m. and dinner from 4 to 9:30 p.m.
Incidentally, Patel also owns the grocery store India Bazaar in Gainesville, which recently moved to a new location at 3550 S.W. 34th St. To reach his store, call (352) 271-7571. If you are on or near Howard Avenue, and it’s a Saturday, don’t forget to drop in at the One Stop Jerk Center Restaurant. The eatery may not display a lavish atmosphere but if you savor Caribbean-style jerk chicken, or curry chicken, goat and shrimp, it’s the place to visit. Lunch specials start at $3.50 and are served with rice and peas or yellow rice with side orders. Open 11 a.m. to 6 p.m. daily except Sunday, the eatery is at 2108 N. Howard Ave. (between Walnut and Pine streets). Call (813) 258-9099 for information. And if you do go drop by the restaurant, do tell the smiling owner (who, by the way, drives back and forth every day from Orlando to run this place) that Khaas Baat directed you to taste the scrumptious food. She will be thrilled! The Florida Cricket Association (FCA) of Jacksonville hosted its fall 2006 tournament in a novel way, by combining the fun of cricket with a cause for charity. FCA arranged its cricket tournament to raise funds for the Ekal Vidyalaya Foundation, a worldwide organization set to raise money for schools for children in the tribal villages of India. Eleven cricket teams participated in this tournament, and the two final teams ended the tournament in a tie on Dec. 9. FCA succeeded in raising funds for 10 schools through $20 contributions from each player in the tournament. FCA members Raghu Mishra and Krishna each sponsored four schools and one school, respectively. At the close of the tournament, an award ceremony and lunch were held Red Chillies Restaurant. Dr. Sudhir Prabhu began the ceremony by sharing stories about his recent visits to various Ekal schools in India. For four weeks, Dr. Prabhu traveled through several states and remote tribal areas in India – from Delhi to Kerala to Gujarat to Assam – to understand the operations of the Ekal Vidyalaya movement. His speech made a profound impact on the players, some of whom immediately discussed how they could sponsor schools. Dr. Prabhu then presented the awards to the winning teams and recognized individual players who won awards for best batsman, bowler, all-rounder and rookie player. At the close of the ceremony, the players decided that FCA will arrange such a tournament annually for the noble cause of educating tribal children in India through the One Teacher School concept of the Ekal Vidyalaya Movement. There are 19,581 schools under operation with 587,430 children. More information about Ekal Vidyalaya can be found at www.ekal.org.